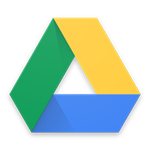 To give file owners more flexibility when sharing files, Google has added a feature to Drive's web interface that can place additional restrictions on those who are given access to files. If you want a document to not only be read-only but also not inadvertently shared, you can now lock it down by preventing copying, printing, or downloading to user hard drives. For now you can only change the setting on the web, but it will work on all platforms. You can change it by first using the "Share" button as you would when giving access to others any other time. In the dialog that comes up, you need to click the "Advanced" link hiding in the bottom right corner. Then you get yet another pop-over dialog. On the bottom of it, under the "Owner settings" heading, you want to enable the lower checkbox that reads, "Disable options to download, print, and copy for commenters and viewers." Those with commenter and viewer access rights will get an alert in their settings menus letting them know what's going on. And to be clear, by copy I'm referring to both the ability to make a duplicate file and copy/paste. This isn't exactly hard security, but should inconvenience most people enough to achieve the desired end. You shouldn't be sharing files with people whom you expect to circumvent this sort of thing, anyway.